Adam Grant is a professor at Wharton Business School and also teaches in the Master of Positive Psychology program at Penn. 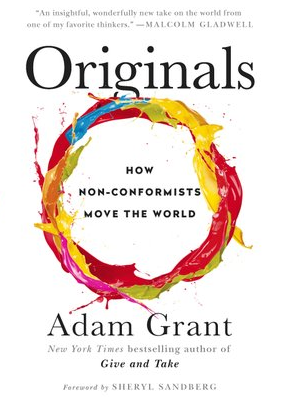 His new book Originals: How Non-Conformists Move the World has recently been published. It´s about creativity and how we all can bring daring ideas to life. Adam, you’re a scientist. 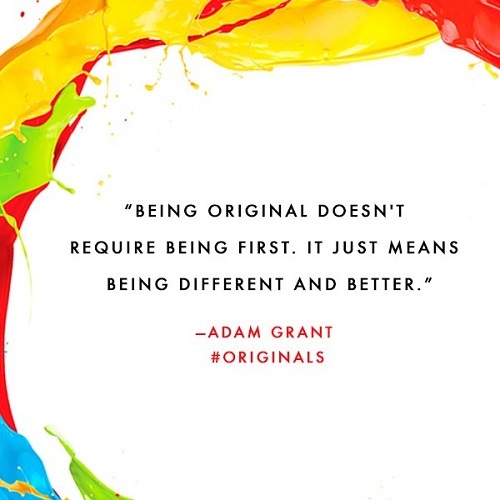 According to philosopher Thomas Kuhn’s theory of paradigm shifts it’s particularly tough to be original in this domain because your own community might be incentivized to hold bold ideas down. What’s your (give and) take on this? 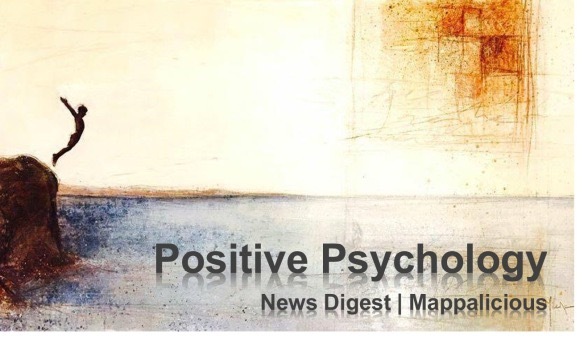 Cultures may vary significantly as to the extent they value non-conformism and standing out. I´m German – we´re a decidedly Western society but still, I feel, the general public adheres to “being sensible and staying with the flock”. What´s your advice here for the “dreamers and the doers”? The more a culture values conformity, the more important it becomes to master the art of tempered radicalism. Second, instead of trying to convince other people to change their values, show them how your idea appeals to values they already hold. Third, reframe following you as an act of conformity by leveraging the power of social proof: show them that other people like them are already on board with your idea. And fourth, don’t forget that there’s often more variance within cultures as between them. Find the bright spots, as Chip and Dan Heath say in Switch. Then, to borrow a term from Jane Dutton, build a micro-community of people who embrace originality. 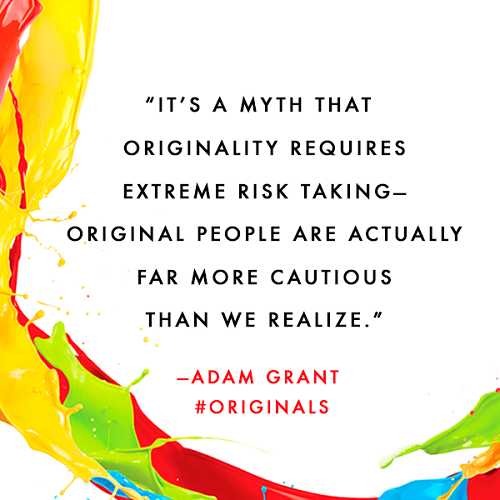 From the author´s perspective: What´s the most original chapter in “Originals” – and why? In form, I think chapter 3 is the most original. I had great fun building in a surprise that I will not spoil here. In content, I’d say the most contrarian ideas are in chapter 5, where I argue that common goals drive groups apart instead of binding them together (this helps to explain why vegans hate vegetarians even more than they dislike meat eaters) and revealing your purpose can make you less persuasive (this is why Elon Musk didn’t start SpaceX by telling people he wanted to go to Mars). Thanks a lot, Adam – and best of luck with your new book!